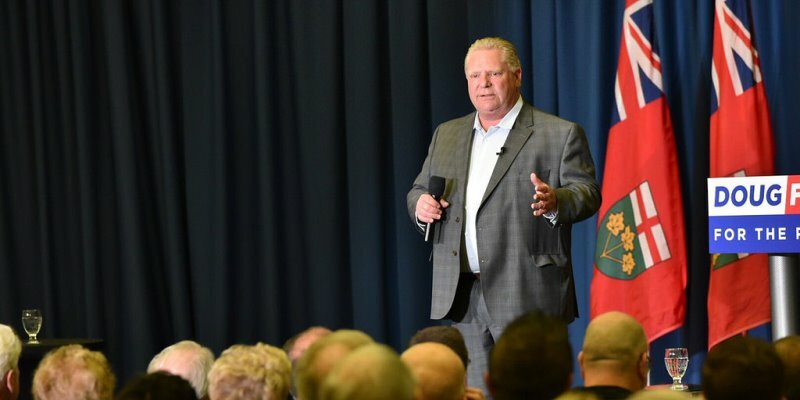 In one of his first orders of business after becoming premier of Ontario, Doug Ford quickly moved to scrap the previous government’s cap-and-trade program. While it’s not yet clear what (if anything) will replace it, given Ottawa’s carbon-pricing mandate, the Ford government has already launched a constitutional challenge against the federal plan. Looking ahead, there’s another big federal tax challenge for the Ford government—the looming Canada Pension Plan (CPP) expansion, with the first of several significant CPP tax increases beginning in January 2019. Back in 2016, the Trudeau government and the provinces agreed to expand the CPP, which means higher forced contributions today (i.e. more money deducted from paycheques) with the expectation of increased retirement benefits in the future. The fundamental problem with CPP expansion is that it’s unnecessary. The best available evidence shows most Canadians adequately prepare for retirement. Those who argue that Canadians don’t save enough tend to narrowly focus on the assets Canadians hold in the formal pension system, which includes the CPP and private options such as RRSPs and Registered Pension Plans (RPPs). In 2014, these assets totalled $3.3 trillion. But Canadians save in other ways. In 2014, Canadians held an additional $9.5 trillion in assets split equally between financial assets (mostly stocks and bonds) and non-financial assets such as real estate. Even after deducting their debt load ($1.9 trillion), Canadians had a net worth of $7.7 trillion outside the formal pension system. In fact, according to calculations by one actuarial, once you include assets outside of pension plans and adjust retirement income projections to allow for later retirement (and changes in consumption behaviour) as retirees age, many Canadians may be over-saving for retirement. Specifically, more than 42 per cent of middle- and upper-income households will be able to consume more in retirement than during their working lives. In addition, as shown by pension expert Malcolm Hamilton, Canadians contribute more to private pensions than generally thought. Yes, the household saving rate has been falling as the Canadian population ages. But that’s because an increasing number of Canadians are withdrawing savings to fund their retirement as intended—not because working-age Canadians are contributing less to pensions. Hamilton notes that private pension contributions to RRSPs and RPPs actually increased as a percentage of employment income, from 7.7 per cent in 1990 to 14.1 per cent in 2012. Nonetheless, some still argue expanding CPP is needed to counteract the downward trend in workplace pension coverage, claiming that without access to a workplace pension such as an RPP, Canadians will not save enough for retirement. But Statistics Canada research shows that, relative to their pre-retirement income, retirees without an RPP have a higher average retirement income than those who do (although the median is slightly lower). Put simply, lack of a workplace pension does not doom someone to a financially insecure retirement. Finally, not only is CPP expansion unnecessary, it’s also counterproductive. Forcing Canadians to contribute more to the government-run pension will simply reduce the amount they save in private voluntary savings vehicles, resulting in little to no overall increase in total savings. This matters, because relative to private savings, the CPP is less flexible, offers less choice and gives a meagre return on individual contributions. Premier Ford should heed the evidence about retirement income security in Canada and opt Ontario out of Ottawa’s CPP expansion plan as his next order of business.